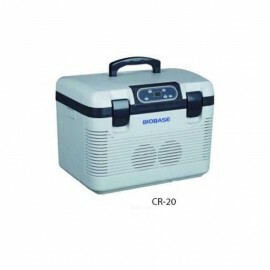 Developed for the transport of medicines, vaccines and temperature controlled products, our Portable Refrigerators adequately answer the most various requirements. Compactness, handiness and high insulation guarantee the top quality of the product and its outstanding performances. 1. Made of environmental PP material, food grade, non-toxic, SUV resistant. 2. Insulation material is PU CFC-free polyurethane. WHO certified. 4. Plastic or Molded-in handle (depends on customer’s demands) and optional dolly ensure convenient carry and transit. This Product has been made for easy moving with Environment Friendly Cooling adn also it is CFC free with low noise. 1. Removable tray for extrary stroage. 2. With ECO function, energy consumption can reach A++ level.